General Description: Monica Isabel Beach Club Tourist Apartments enjoys a privileged location in the very heart of the Algarve, just 500m from the beachside and the famous and lively Strip of Albufeira, where a traditional atmosphere of shops, bars and.. This welcoming complex is located approximately 7 km from Albufeira and 3 km from the nearest beach, in a calm and relaxing area.||Renovated in 2001, this apartment complex comprises 7 spacious apartments. There is a laundry, an iron and an iron board.. Private development, comprising both apartments and townhouses modernly decorated and equipped. This development is located in an area with large gardens next to the Millennium golf course, where peace prevails.The apartments are fully equipped, furnished..
General Description: Montechoro Clube 99 is located 2 km from a rocky and sandy beach. The closest cities to the hotel are Vilamoura (20 km) and ArmaçAo De Pera (15 km). Other cities: Faro (35 km). 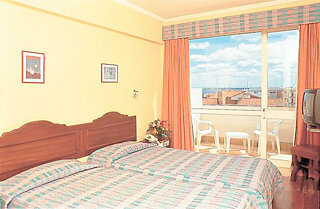 To make your stay more comfortable a reception, air conditioning,.. This beachfront hotel is situated in downtown Lagos, allowing for easy access on foot to several popular beaches, including Pinhão, Dona Ana, Porto de Mós and Meia Praia. Good public transportation links allow for exploration of historical monuments in.. The Montemar hotel is located in the seaside town of Lagos, by the Gulf of Cadiz coast, and gives accommodation to families and couples who are coming to the Algarve. Many of the local areas destinations and attractions are within convenient travelling.. The pretty Montinho de Ouro is the perfect location for a relaxing holiday in this unspoilt part of the Algarve near the village resort of Praia da Luz. A lovely sandy beach is located around 2 kms away with water sports activities should you so choose..
Set in an elevated position above the pretty coastal town of Luz. Aparthotel Montinho De Oura is situated in Praia da Luz. Complex facilities include dining room, buffet breakfast, restaurant, bar/lounge, Internet access, games room, reception, shop,..